Today Canon announced three new compact cameras: PowerShot SX150 IS, ELPH 510HS and ELPH 310HS. LAKE SUCCESS, N.Y., August 23, 2011 – Today's tech-savvy consumers expect to have a photo-capturing device always at hand that is adept at producing exquisite images and video without sacrificing quality. Delivering these users' must-haves, Canon U.S.A., a leader in digital imaging, announced three new PowerShot Digital cameras that capture beautiful still images and great high-definition video: the PowerShot SX150 IS, the PowerShot ELPH 510 HS (the world's thinnest digital camera with 12x optical zoom and a 28mm wide-angle lens1) and the PowerShot ELPH 310 HS. Built to handle a wide range of shooting situations with ease and accuracy, each camera is equipped with features such as impressive zoom, a new Intelligent Image Stabilization (IS) system, Smart AUTO with 32 shooting scenes, High-Speed Burst mode and HD video capture. 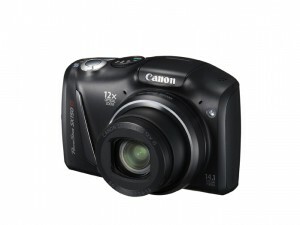 The ELPH 510 HS and ELPH 310 HS Digital cameras also include Canon's renowned HS SYSTEM to handle shooting in low light. "With a strong reputation of imaging excellence, Canon incorporates acclaimed quality, design innovation and intuitive engineering into each product," said Yuichi Ishizuka, executive vice president and general manager, Imaging Technologies and Communications Group, Canon U.S.A. "With the inclusion of advanced features, such as the HS SYSTEM and HD video in these new PowerShot cameras, we continue to reach new levels of performance and design to satisfy our users." The impressive zoom with optical image stabilization found in all three new PowerShot models allows users to snap a memorable, highly detailed shot from a variety of distances. 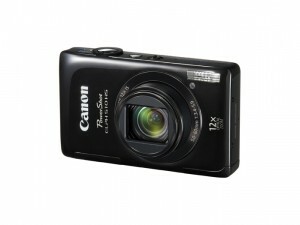 The PowerShot SX150 IS Digital camera is equipped with a 12x wide-angle optical zoom and 28mm lens. In the compact ELPH series, the PowerShot ELPH 510 HS is the thinnest camera to date, with a 12x optical zoom and 28mm wide-angle lens, while the PowerShot ELPH 310 HS has an 8x optical zoom with 28mm wide-angle lens. Helping to capture blur-free images and video, Canon introduces the new Intelligent IS system in these PowerShot models. To deliver crisp, undistorted images in various shooting conditions, Intelligent IS automatically chooses from six different modes (Normal, Macro, Panning Dynamic, Powered and Tripod) to optimize image stabilization. Many novice photographers are intimidated when adjusting camera settings. Canon eliminates this issue with its Smart AUTO feature, which analyzes faces, brightness, colors, distance and movement and selects the appropriate setting based on 32 predefined shooting scenes for stills and 21 scenes for video. Low light photography is a challenge even for a seasoned photographer. 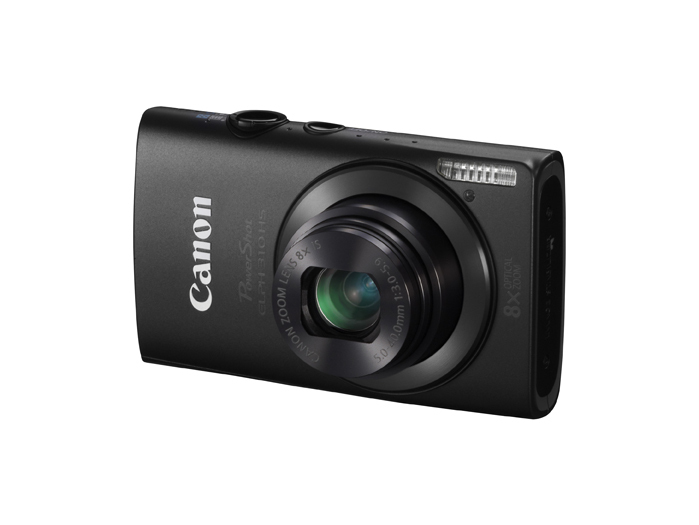 To assist the user, the PowerShot ELPH 510 HS and ELPH 310 HS utilizes Canon's HS SYSTEM that combines a 12.1-megapixel, high-sensitivity CMOS sensor and DIGIC 4 Image Processor to enhance image quality in low-light settings. The HS SYSTEM also reduces noise at high ISO speeds and expands the camera's dynamic range to allow for greater detail and color when shooting in darker settings. The HS SYSTEM can also help compensate in situations where a flash can't be used, such as a wedding or dance recital. Determining the right moment to "freeze" what you are shooting can be difficult in action scenes. The High-Speed Burst mode in the PowerShot ELPH models ensures that you never miss out on the fast-moving or unpredictable moments. With the simple hold of the shutter button, the High-Speed Burst mode shoots continuously, capturing up to 7.8 frames per second (fps) in the PowerShot ELPH 510 HS and 8.7 fps in the PowerShot ELPH 310 HS. Today, the ability to switch between shooting still images and high-definition video is a key consideration when customers shop for a new camera. Providing stellar video-shooting capability in a compact frame, Canon has incorporated 1080p Full HD video recording into the PowerShot ELPH 510 HS and ELPH 310 HS, while the PowerShot SX150 IS camera features 720p HD video recording. Each camera can optically zoom while filming and has a dedicated movie button for quick access to the video-recording mode. The PowerShot ELPH 510 HS and ELPH310 HS cameras also include Movie Digest mode that shoots a four-second video before capturing a still image and then automatically combine a full day's worth of videos into one clip. All three PowerShot cameras are also iFrame capable, allowing for quick and easy sharing and editing across multiple platforms and devices. The PowerShot SX150 IS Digital camera is equipped with a 12x optical zoom with 28mm wide-angle lens, 720p HD video recording, Intelligent IS and Smart AUTO. 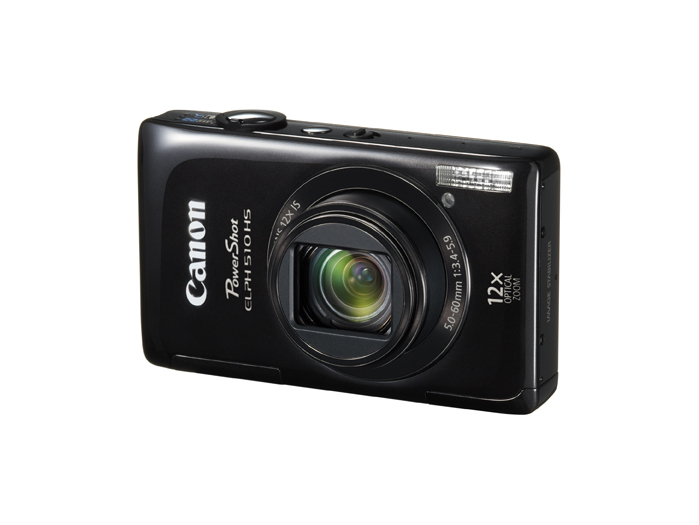 The PowerShot SX150 IS Digital camera also features a 14.1-megapixel CCD sensor and Canon's DIGIC 4 Image Processor. This new camera includes manual-shooting capabilities, such as aperture priority and shutter priority for optimal artistic control that any photography aficionado will appreciate. The PowerShot SX150 IS Digital camera includes a discreet-shooting mode to help ensure a low disturbance when capturing photos, and a 3-inch LCD screen for easy viewing and scrolling through menus. Available in black and red, the PowerShot SX150 IS Digital camera is scheduled to be available at the beginning of September for an estimated retail price of $249.99. The PowerShot ELPH 510 HS Digital camera features a 12.1-megapixel CMOS sensor with a 12x optical zoom and 28mm wide-angle lens, Canon's HS SYSTEM and 1080p Full HD video recording. The ELPH 510 HS Digital camera also includes a High-Speed Burst mode, Intelligent IS and Smart AUTO. Available in red, black, and silver, this camera has a 3.2-inch wide, touch-panel LCD screen, offering fast and easy menu navigation. The ELPH 510 HS Digital camera also has Touch Shutter, simply touch the screen where you want to focus and release your finger to take a photo. The ELPH 510 HS Digital camera is scheduled to be available at the beginning of October for the estimated retail price of $349.99. The PowerShot ELPH 310 HS Digital camera has a 12.1-megapixel CMOS sensor with an 8x optical zoom and 28mm wide-angle lens, Canon's HS SYSTEM and 1080p Full HD video recording. The ELPH 310 HS Digital camera features a High-Speed Burst mode, Intelligent IS and improved Smart AUTO. The ELPH 310 HS Digital camera includes a 3-inch LCD screen and comes in five vibrant colors: purple, blue, pink, green and silver. The ELPH 310 HS Digital camera is scheduled to be available at the beginning of October for an estimated retail price of $259.99. To further enhance the built-in flash of the PowerShot lineup, Canon has developed the HF-DC2 High-Power Flash , which increases the effective flash range up to approximately 30 feet and supports 24mm wide-angle shooting with the wide-panel attachment. The HF-DC2 automatically fires in-sync with the camera's built-in flash and operates wirelessly to capture subjects at twice the range of the camera's built-in flash. The HF-DC2 includes a mounting bracket that attaches to the camera, but it can also be hand-held or mounted on a tripod. The HF-DC2 High-Power Flash is scheduled to be available in December for an estimated retail price of $149.99. This entry was posted in Canon. Bookmark the permalink. Trackbacks are closed, but you can post a comment.